Roughly two years ago the Revolutionary Communist Party launched a campaign, “The Revolution We Need... The Leadership We Have.” We set out three objectives: making revolution—communist revolution, as it has been re-envisioned by Bob Avakian—broadly known to people; making Avakian himself—the Chairman of this Party and leader of the revolution—a household word; and bringing forward cores of people who would be initiators of a new stage of communist revolution. Before getting into where we’re at in those objectives—and before beginning, in this issue, to lay out some important new ideological and political offensives within this campaign—let’s go back to WHY we undertook this. What is the great need this campaign aims to fulfill? It is not as if people think things are just great; what has developed over the past 35 years, since the last high tide of revolution was defeated, has been an ever-deeper nightmare. Lives of agony and utter horror in most regions of the world; and even in the so-called “prosperous” parts—where tens of millions now wake up each day without work or, increasingly, even hope of work and with many facing harassment and worse by police when they step out their door—there is deepening misery, bleak hopelessness toward the future, and a numb desperation. The ugly ways this all plays out in people’s daily interactions in every corner of the planet—the predatory ways people treat and lash out at each other, the twin dominance of market mentality and Dark Ages religion of one kind or another—are as familiar as the remote to your tv or the battered woman next door. Increasingly, even as fascist movements run wild and government repression increases, there is resistance; but as of yet this is resistance that is cut off from a viable vision of fundamental change. In the middle of a situation that should cry out for revolution, it is simply off the map in most people’s thinking. Why? To understand that, we have to go back some years, to when revolution DID seem a living and desirable possibility, not just to a handful but to literally billions of people. At that point, more than anything it was the People’s Republic of China, led by Mao Tsetung, that inspired people all over the world. Revolutionary China from the 1950s to the mid-’70s was a society locked in struggle, but one that was clearly on the road to emancipation. Mao had warned that it would be easy to rig up a new kind of capitalism in China. He led and mobilized people to struggle against those forces who would do so, and to understand more deeply the roots in society from which such forces grow. But, as the Manifesto from our Party—Communism: The Beginning of a New Stage—points out, shortly after Mao’s death in 1976, those very forces “succeeded in carrying out a coup—wielding the army and other organs of the state to suppress revolutionaries, killing many, many thousands, and imprisoning many more—and proceeded to restore capitalism in China. This was, unfortunately, a living demonstration of the very danger that Mao had so sharply pointed to, and whose basis he had so penetratingly analyzed.” The fact that the rulers of China still proclaim it socialist—when capitalist relations and values run rampant in their most brutal and flagrant forms—only provides the note of bitter irony to defeat. What is more, this setback for socialism and the cause of communism—and the demise of the Soviet Union itself, long after it had actually ceased to be a socialist country—has led to a shark-like frenzy among reactionary forces which all along have hated, to the depths of their heartless beings, the communist revolution and the radical transformation of society it embodies, and which have consistently sought, by whatever means they could, to contribute to the defeat and destruction of this revolution. They have further intensified their efforts to pile as much dirt as they can on communism and the liberating transformation of society that it represents—distorting and slandering this revolution in a relentless ideological assault, in the effort to see that it will never rise again; proclaiming the capitalist system as irreversibly triumphant; painting the dream of a radically different and better world—and specifically the communist revolution aiming for that world—as a nightmare, and picturing the real and seemingly endless nightmare of this present system as the highest embodiment of human possibility. This then is one side of the situation we face. 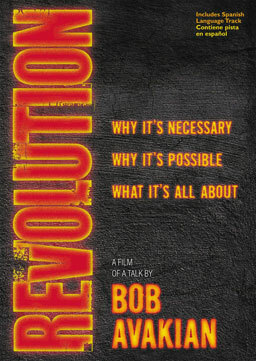 In [his] body of work and method and approach, in the new synthesis brought forward by Bob Avakian, there is an analogy to what was done by Marx at the beginning of the communist movement—establishing in the new conditions that exist, after the end of the first stage of the communist revolution, a theoretical framework for the renewed advance of that revolution. But today, and with this new synthesis, it is most emphatically not a matter of “back to the drawing board,” as if what is called for is throwing out both the historical experience of the communist movement and the socialist societies it brought into being and “the rich body of revolutionary scientific theory” that developed through this first wave. That would represent an unscientific, and in fact a reactionary, approach. Rather, what is required—and what Avakian has undertaken—is building on all that has gone before, theoretically and practically, drawing the positive and the negative lessons from this, and raising this to a new, higher level of synthesis. [Bob Avakian] played the key role in founding our Party in 1975, and since then he has continued the battle to keep the Party on the revolutionary road, to carry out work with a strong revolutionary orientation. He has deeply studied the experience of revolution—the shortcomings as well as the great achievements—and many different fields of human endeavor, through history and throughout the world—and he has brought the science and method of revolution to a whole new level, so that we can not only fight but really fight to win. Bob Avakian has developed the scientific theory and strategic orientation for how to actually make the kind of revolution we need, and he is leading our Party as an advanced force of this revolution. He is a great champion and a great resource for people here, and indeed people all over the world. The possibility for revolution, right here, and for the advance of the revolution everywhere, is greatly heightened because of Bob Avakian and the leadership he is providing. The two years since the campaign was launched have seen further—and dramatic—evidence of this. In just the past year there has been the incredible pathbreaking (and intellectually audacious) achievement of the Constitution for the New Socialist Republic in North America (Draft Proposal); there is the new talk “Birds Cannot Give Birth to Crocodiles, But Humanity Can Soar Beyond the Horizon”; there is the statement "On the Strategy for Revolution,” published by our Party in the spring; and there has been—and this we will return to—the publication of BAsics, from the talks and writings of Bob Avakian, which can play a role analogous to the Red Book1 for a new generation of revolutionaries... and can potentially familiarize thousands and eventually millions more with “the basics” of how the world can be changed. These are the crossroads at which we stand. Two years into this campaign we find ourselves not only with the important new works listed above, but also having done some very important things—accomplishments and “new shoots” that are significant in their own right and important to build off—which have made real changes in the political and ideological terrain, developed new ties, and provided deeper lessons in how to understand and transform the world, for revolution. But two years into this campaign—we are still fighting for our lives. If we don’t understand those stakes—and constantly return to and deepen our understanding of them—then we are NOT going to be oriented in a way that can lead to the real gains that humanity is depending on. Or to look at it from the other angle: the more deeply that we understand those stakes—which, after all, express and flow from a deep analysis of the material reality we confront—the better able we will be to identify, seize on and transform the pathways that do in fact exist within that (very difficult) material reality. One major potential pathway for change is BAsics. The letters that we have been running in Revolution newspaper give a glimmer of what this book makes possible; the new things brought into being around the April 11 celebration on the occasion of its publication, which we have also covered here, brought these possibilities to life in a stunning, exhilarating way. As one letter said, “BAsics is a distillation of the most advanced and comprehensive understanding on the planet of why the world is the way it is and the fact that it doesn’t have to be this way... it is a vehicle through which great numbers of people can be newly introduced to this understanding, and to the person who developed that understanding.” And it will also be the key training manual for those thousands who today must work to influence millions, preparing for the day when they will LEAD those millions to actually carry the revolution through. But there are still far too few who even know about the book, let alone who own it and are “living with” it. We aim to change that with a number of initiatives this fall. This week we are going to talk about one of these: a major push, in two weeks, to make BAsics a major deal on some key college campuses, as well as some high schools. On August 23, we will be publishing a special 8-page all-color issue of the paper that will introduce people to BAsics. The issue will focus on quotes from BAsics, and quotes from different people who have read BAsics and have something to say about it. We will print 100,000 of these and take the next several weeks—with a major emphasis on the weeks from August 24 to September 7—to get them out in a massive way, mainly focused on college campuses, though with some emphasis as well on high schools. 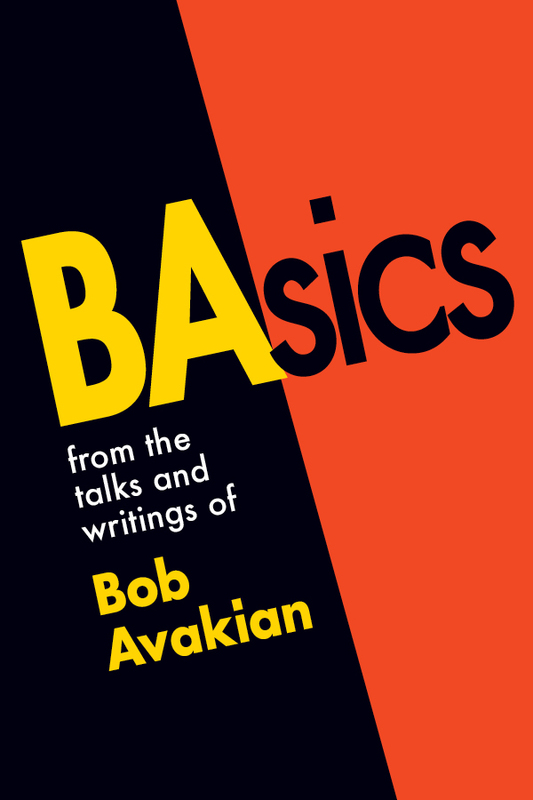 We plan to get these out for free, saturating areas and jump-starting a process whereby tens of thousands of youth are introduced to Bob Avakian—raw and uncut—and where different levels of engagement with what he’s all about and what he has to say can get underway. One big part of this must be a significant number of actual sales of BAsics itself, so that people’s engagement can deepen and grow richer over time. The scene would be this: people in teams, with a real spirit, massively getting out the materials... as well as individuals, leaving them around all over and getting these out to knots of students. Quotes up everywhere—including learning from the University of Chicago experience of posting them in bathroom stalls. People speaking in classes at the invitation of teachers... and students. Several hours of this... and then take an hour or two or more to engage and listen, to learn what students are thinking—and not just about what we are bringing them, but the whole way they are seeing things. Again, the point: thousands, no tens of thousands, of students by the time the leaves turn having not just heard about and been exposed to this work but, in many cases, beginning to engage it, to learn about the leader who brought it forward, and to make contact, in different ways, with the movement for revolution he’s leading. This is critically important. The campuses should be a real strength of the movement for revolution. They should be places where students are debating and wrangling over these ideas and daring to dream how the world could be radically different. They should be places which infect the whole society with ferment over ideas more generally. They should be sites of political struggle and upheaval... of cultural revolt... of philosophic debate... of pioneering new relations between people ... of young people demanding the truth, and insisting on living by it. There was a time not so long ago when students used to reach out for help with a particular life crisis: a broken relationship, the death of a loved one, difficulty with a major decision. Today, however, students are complaining that their life is the crisis, an all-pervasive sense of bleakness about themselves and their future that didn’t exist a generation ago. This transition from the incidental to the total is nothing short of a socialized paradigm shift, one that has transformed higher learning from a space of exploration and freedom to a prison of the mind. Fueled by stress, anxiety, pressure and competition, many of today’s students are struggling not only to learn but also to survive. These results indicate what happens when the dominant economic ideology of the age, neoliberalism, creeps into the mentality of science and arts. The campus isn’t a place to study Heidegger anymore. Nor is it a place to query the relative nature of the Bohr atom. It is a place to get a leg up on the competition, and competition is fierce. This is a place to cheat when you can, to choose easy courses with easy professors, to trade learning for sycophancy, to deliberately ask one question per class, regardless of interest, for that extra participation grade and to escape into private and isolated worlds when the curve determines only 20 percent are allowed to get that coveted A. In a generation, the message has changed. This is not a place to find your self anymore; this is not a cultural rite of passage; this is a cultural requirement. From students’ first application signature to the day they toss their cap and gown, the new message is clear: a four-year BA will not be enough; one foul grade could ruin your chances at graduate school and consequently your life. This message is snuffing out our brightest minds. This description is all too accurate. Yet beneath the surface, and in response to this, there are yearnings and stirrings for something radically different that cannot find air to breathe without what we are bringing. BAsics being powerfully in the mix will draw these sentiments to the surface and begin to challenge the dominant ethos and culture with some certitude that things should not be—and don’t have to be—this way. These campuses badly need shaking up. These campuses sorely cry out for the movement for revolution. These campuses are way past ready, whether the students know it right now or not, for... BAsics. In next week’s paper we are going to run more concrete ideas on HOW this could and should go down—and we would like to hear your ideas on this soon to feed into these plans. We will also get into some ideas on forms for ongoing engagement on the campuses. Again, your thinking and input on this: most welcome, most needed. We want especially to hear from students and recent students—including those who may have checked out the movement for revolution for a time and decided to step away from it, at least for a while. Why? There are things to mine from what has been done already around BAsics—and we should be thinking about this, and looking over past issues of this paper in this light—and there are new things to dream up and do. But right now we want to emphasize actually using the next two weeks to prepare people for this undertaking. Doing this right requires the “inner core” of revolutionaries to reach out very broadly. We cannot do this alone. And we don’t have to, either. There are many people who would want to contribute to this bold vision of dramatically introducing BA to this generation of students—and we will need a good $10,000 just to print and ship the papers for that issue. Here we must insist again that fund-raising is not just a necessity—which it is!—but a great way to enable people to support the movement for revolution, to feel —and to really be—part of changing the world. We should, as we get this issue, be thinking of the professors and other campus-connected people we know... of all those who would love to see today’s youth massively exposed to something better, something loftier, something more radical than they are right now... of all those who have found themselves drawn to BAsics, on whatever level and in whatever way. And let’s make it fun, too—what about potlucks or parties to raise money and maybe have a little bit of that “culture of revolt against a revolting culture” in the house too? There are also many people who, if we explain to them the point and purpose of this effort, would gladly and creatively find ways to get this paper out themselves. 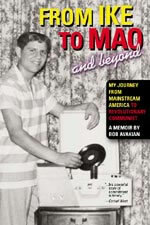 Several years back, when we put out a special issue on Chairman Avakian, “The Crossroads We Face, The Leadership We Need” (#84, April 8, 2007), we found many people who didn’t ordinarily participate in getting out the paper, or even in other activities, who wanted to be part of this. It ran the gamut from putting papers in small businesses they owned to getting them out in classes they taught to putting them around different neighborhoods and community centers to just flat-out standing on the corner and getting them out... The point: we should go to people right now to let them get in on this—and it wouldn’t hurt to set up meetings at bookstores or other venues, closer into different communities, where people could get into what we’re doing here and why, and then brainstorm about ways to do it with pizzazz and panache, and get organized. One big thing: a lot of students on the campuses, including a lot of the campuses where we should be focusing efforts, have no contact with the people on the bottom of society. And, of course, vice versa. Let’s shake that up, too—let’s invite people who are with the revolution who don’t normally go out of the neighborhoods onto campus as part of this effort, and let’s give them a chance to tell students what it’s like to live in the hellholes of America. So... let’s get started. And stay tuned for next week... and the weeks after ... as we get more deeply into this. Get In, Get Out... and Get Connected!